13 And the prophets shall become wind, and the word is not in them: thus shall it be done to them. There is now a sore famine in the land today, servant Jacob. There is a lack of My truthful words being heard in many rich and famous houses of iniquity at this late date and time. For I, the Lord God, know many governors, teachers, overseers, and rulers today have stiffened their necks to My commandments, My Son, Jesus, and Me. They have diluted My truthful words and taken many of them out of context for the wicked lifestyles they have wanted to follow and pursue. Therefore, because these wealthy and prominent ones have denied My truthful words of yesterday and today, so shall I, the Lord God, deny them when the time comes. So shall I instead allow sorrows, woe, and dread to come upon them soon. So shall their prophets and prognosticators be grieved in their hearts and minds for many days. They will also soon grieve and moan in their hearts and minds for their little ones quick departure. They will bereave in their souls for the failings of their youth, their deceitful words, and for their damaging ways. For I, the Lord God, know neither they nor their little ones will ever be able to see My kingdom in their midst. Instead, soon they will see their little ones being offered up as fiery sacrifices to strange idols and human gods. These wealthy and prominent ones will also grieve in their hearts for many days for their sinful and wicked ways. They will take up lamentations for many of their relatives who will soon go into captivity and perish by My almighty hand. Therefore, in the coming hours many tribes will see the whole defiled tree limbs they have built and trusted, thrown to the ground. They will see many unworthy branches falling off from the main branches and roots they admired. For I, the Lord God, know My wrath and fury will cause many rulers, judges, princes, prognosticators, prophets, and overseers to rethink all of the evil and faulty decisions they have made. It will cause them to reconsider the poor judgment calls they have pursued in recent years concerning Me and My Son, Jesus. For you see, servant Jacob, if these foolish people continue to refuse My words of nourishment, truth, and surrender today, they will soon be swallowed up in their own grief, consternation, vomit, blood, and woe. They will go down to the bottom of the seas where they truly belong. There they will be neglected and all alone in the future when I, the Lord God, judge them for all of their grievous trespasses and sins. Soon their duties as prominent governors, overseers, and rulers today will be gone. For I, the Lord God, will destroy their dishonorable vessels from within. Then they will be without My peace, mercy, and safety for all of the evil ways and unsound ideas they have pursued. Therefore, soon, servant Jacob, the disorderly and dishonorable nations they now govern over will be gone. Their cities and towns will also crumble and fall down in the time of My new visitation and presence here. For I, the Lord God, predicted long ago a famine of My word would come upon these wealthy and prominent ones. I predicted that though My words would be written on new tablets of stone today, these prominent ones would not be able to read My words, or decipher what they truly mean. I predicted that instead consumption would come upon them, and it would also eat up their little children. I said their diseased minds and bones today would not be able to decipher what My words of the truth really mean. I also predicted their hearts and minds would remain firmly against My heavenly words from on high today. I, the Lord God, said in My words long ago that the nations of this world would suffer with great famine, decay, plagues, pestilence, and diseases. These things would happen because My words were not being adhered to, or listened to anymore. I also said in My Bible that foaming debris, wormwood, decay, covetousness, envy, greed, and lasciviousness would grow like a cankerworm upon the uncircumcised and unclean land. I said this cankerworm would destroy all of the nations and rulers who have opposed Me, My commandments, and My will for this world called earth. Therefore, servant Jacob, we are now in the seventh season of time that I predicted for these things of dread and drought to occur here. We are in the same years of drought and dread all over again that My servant Joseph had to go through many years ago. We are in the same period of time again, just like when My servant Joseph was the governor of Egypt. The difference this time is none of the leaders and rulers of the nations today realize how bad this dread and drought really is. Therefore, they have not put away any extra true food or meat for their weary and troubled souls. They have not taken any true food and meat and salted it away for the lean years, which are now coming upon them. They have not saved anything stable or precious, from the fatling years they just had. They have not put away any food, nourishment, or water supplies for lean years, which are fast approaching upon them. Instead, many of them are bringing famine and consumption into their own minds, bodies, and bones. I, the Lord God, know many rulers, judges, princes, and overseers today are out of touch with the reality that I gave them long ago in My Bible. 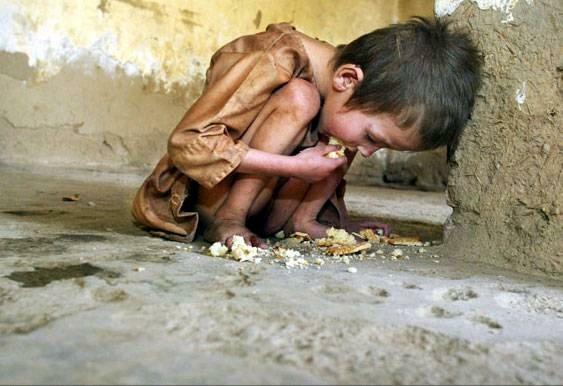 I know they are unaware of how terrible the sore famine of true bread is upon their nations and cities today. Though they have some leftover bread and food for their followers to eat upon their tables now, soon their store houses of true food will all be gone. Though they still have adequate amounts of water and food to feed their cattle and their animals today, soon that water and food will be so polluted it will only be used by the owls, vipers, and creatures of the nighttime sky. However, no cleansed water will be available to them. For you see, servant Jacob, I, the Lord God, know many prominent rulers, judges, princes, and overseers today have refused My words of instruction from on high. Therefore, they will have to go through a long and drawn out period of starvation, misery, diseases, and purging. They will not be able to escape My recompense upon their foul and demented heads. Many of them will not be able to hear what I, the Lord God, am saying to them from My mountaintop in the heavens above. Therefore, it will soon be too late for them to truly live and survive. For I, the Lord God, will soon bring rotting decay and diseases into many people's bodies, minds, and souls. This is how it will be for a great portion of them if they continue to stumble and fall before Me today. It will be as it was in the time of Pharaoh when he refused to listen to My truthful words of reconciliation, through My servant Moses. Therefore, shall many multitudes of Pharaoh's and Satan's followers today be burned up in smoke when My visitation draws near. There will be no true food to cover over the foul food that will seep into their weary bones. This foul food will also make its way into every tarnished vessel that does not want to surrender to Me, through My Son, Jesus. Soon there will be no purified water for them to drink in their dwelling places. Therefore, soon many foolish people's established dwelling places will all be turned upside down. They will be turned into dunghills of perpetual slumber, longing, decay, and mid-night sleep. Because these people have refused Me and My Son Jesus, My time of judgment will be upon them as never before, servant Jacob. Soon I, the Lord God, will make all things new. When I have purged all of My adversaries upon My new threshing floor, then I will reveal Myself here as never before. Then I will scourge and burn My detractors and enemies and take them down to the pit. Therefore, in the coming hours many rulers, judges, princes, and overseers will be pierced by the poisoned arrows of insecurity. They will be perplexed by what they will be seeing and hearing all around them in the coming hours. In the next few years they will not know what to do when the food supply in their barns grows stale and full of briers, thorns, and nettles. They will not know what to say to their admirers when the sour milk and putrid water in their vessels cannot support them or their little ones anymore. They will not know what to do when the mold, decay, and diseases all around them begin to increase seven fold. For I, the Lord God, am weary by many people's unforgiving hearts and minds today. I Am weary by their self-centered desires, the greed inside them, and their putrid ways of the flesh they crave. Therefore, shall I assemble a great army against them soon, servant Jacob. I, the Lord God, will bring them a multitude of problems to confront their weary and troubled souls in the next few years. I will bring hail down upon them coming from My nostrils of indignation. I will bring hot coals and fire breathing dragons down upon their inward, as well as their outward parts. I will devour their secret dwelling places and their idolatrous sanctuaries. I will bring foul birds into their habitations, and I will not have any pity on them as I have had in the past. I will soon allow many foolish and filthy people today to wallow in their own mud, misery, shame, and decay. Then they will not have any peace or rest, day or night. For I, the Lord God, know many of them have refused My words of reconciliation and true purpose. They have refused My Son, Jesus, and hated His virtuous ways. Therefore, they shall be wandering aimlessly alone and famished beyond measure in the coming years of My glory. They will be barren and without Me to help them out of the new troubles, diseases, and plagues that will soon bother and disturb them. Therefore, soon many foolish people's days will be numbered and quite few. Before the second coming of My Son, Jesus, they will receive My recompense and My angry rebuke. For in the coming hours I, the Lord God, will send many multitudes of undeserving dolts and fools down to the pit and the grave. They will remain there for many days for all of the extortion, iniquity, and sins they have furthered and promoted, servant Jacob. Words on this website are the property of Jacob's House Inc., and they are not to be used without permission and written consent. Jacob's House Inc. does not want the Lord God' s new holy words to be changed, altered, diluted, plagiarized, or used out of context.